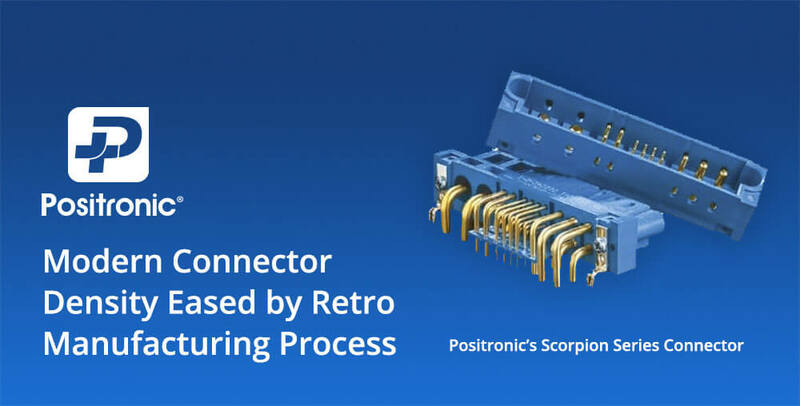 Modern Connector Density Eased by Retro Manufacturing Process » HHP Associates, Inc.
Positronic Global addresses the power density advantages of solid machined contact manufacturing, which has been around for 70+ years, but is currently experiencing a resurgence for delivering higher linear current densities than stamped and blade contacts. Solid machined contact manufacturing, which has been in use for more than 70 years, is now being rediscovered for its power density advantages. There is a growing need for more power to be sent through increasingly smaller electrical connectors, as next-generation microprocessors and other components demand more current. The upshot of sending more current through smaller areas is more heat. Previously, the best way to reduce heat was to add space, but that’s no longer an option. In addition, agencies are regulating connector parameters such as creepage and clearance distances to help ensure safety. This further complicates the pursuit of downsizing. What is required is higher linear current density (LCD), the amount of current that can be fed through a connector within a linear space of 25.4mm (1”) along the connector body.